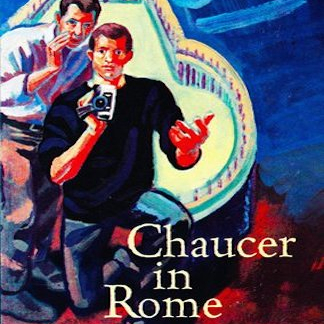 Chaucer in Rome is set in Rome during the Holy Year 2000, which the Pope has declared a pilgrimage year. Matt, Sarah and Pete are fellows at the Academy of Rome doing their own pilgrimage of a sort, but to art instead of God. Matt has just had skin cancer successfully removed, but he can no longer use the toxic paints that were his medium of choice. Sarah and Pete convince him to try a video project. The subject he chooses is controversial, and Pete's parents, who have just come to town, are destroyed by the project. Guare's play is a mixture of the ridiculous, the idiotic and the tragic, as selfish devotion to art meets real-life pathos, humor and tragedy.